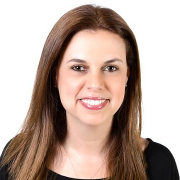 Hadas Bitran is Principal Group Manager of the Health Group in the Microsoft Israel R&D Center, working as part of Healthcare NExT in Microsoft Artificial Intelligence and Research. Hadas and her group are focused on personal health assistants technology and services, that aim to improve the conversation between healthcare providers, payers, patients and clinicians, leveraging artificial intelligence, natural language processing and machine learning. During her career in Microsoft, Hadas has been developing products in the domains of Healthcare, Personal Assistants, Recommendation Systems, Online Advertising and Consumer Privacy. Her work has been shipped as part of Cortana, Bing and the Windows Operating System. Before Microsoft, Hadas held senior leadership positions at SAP. Prior to that, she managed R&D and product teams in start-up companies. Hadas received her B.Sc. degree in Computer Science from Tel Aviv University, and her MBA from Kellogg School of Management, Northwestern University in Chicago.